In the Telegraph today : Doctors will have to obtain agreement from specialists in other hospitals before trying untested medical treatments on patients, under new amendments to the Medical Innovation Bill. The amendment, proposed by the Department of Health, comes after a meeting last month with the Medical Innovation Bill team, Jeremy Hunt, Health Secretary, and officials and representatives from the professional bodies. The Telegraph reported on 1st June 2014 that Sir Bruce Keogh, the medical director of the NHS, had been asked by the health secretary to decide how safeguards would work in practice. A new Bill to allow dying patients to try untested medicines could be eased through Parliament by new safeguards proposed by ministers requiring doctors to seek an independent opinion. 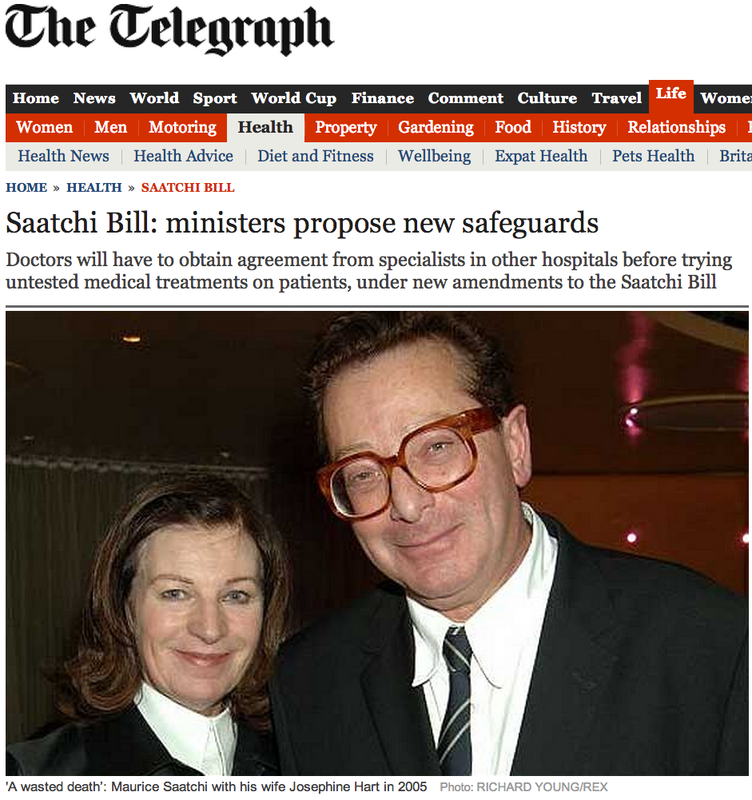 Lord Saatchi, the advertising magnate, has been campaigning for changes in the law following the death of his wife Josephine Hart from ovarian cancer. The Medical Innovation Bill would allow doctors to try out innovative new techniques or experimental drugs on patients, without the fear of prosecution, when all else has failed and patients are nearing the end of their life. A public consultation showed overwhelming backing for the idea, but some medics have raised concerns that the bill could promote “reckless practice” and quackery. 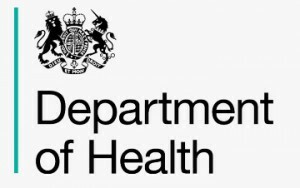 The new amendment, proposed by the Department of Health, means doctors would have to secure the agreement of specialists in other hospitals before trying out untested medical treatments. The change is being proposed ahead of the Bill’s second reading in the House of Lords on Friday. Jeremy Hunt, the Health Secretary, is hoping that the extra safeguard for patients will be enough to see off claims from opponents that the Bill is a “quacks’ charter”. Currently doctors only have to satisfy themselves that the treatment they decide to give patients would pass the “Bolam test – based on a 1957 medical negligence ruling – that an average doctor might have taken the same view. To do so, doctors often seek the opinion of peers in their own hospital. The amendment to the Medical Innovation Bill would require them to go outside the hospital to seek specific consent from other specialists in the field to pass this test. Whitehall sources said that this was to stop “dominant personalities” in a hospital – perhaps a senior consultant – getting their own way. Mr Hunt committed to bringing in safeguards at a meeting of officials and representatives from the professional bodies last month. The compromise has been put together by Professor Sir Bruce Keogh, the NHS’s medical director, over the past six weeks. The source said: “The feeling is that because membership of those teams varies you can have one very strong minded and bossy consultant who says ‘look I am the expert in this area and I think it is a good idea’.